I saw a link today to former-Iowa Stater(1) Paul Shirley's ESPN blog. Last I knew he had decided to drop that literary pursuit because it was hampering his chances of continuing to play professional basketball - something or other about not being serious about the sport. Today's blog is a must read. He retells the story of the Elite 8 loss to Michigan State in 2000, the game which most fans of either team will remember as the best game of the tournament(2). For those that may not remember towards the end of a tight game Paul fouled out on the infamous "blarge"(3) double foul, Coach Larry Eustachy got tossed for unleashing a tirade of fraks(4) on the deserving officials and the good guys eventually lost the game. Post-blarge Paul had a bit of an emotional breakdown that, in Paul's words, became "twisted because the events quickly became part of Cyclone Nation lore". You see Paul cried. He cried a lot. He cried in such a way that it became the visualization of that game nationwide. I don't blame him because that game tore out the heart of every single person who doesn't know the words(5). Luckily 99.9% of watched that game rather than played in it and our emotion wasn't media worthy. If you're interested you can see Paul cry on YouTube, in several pics at the ESPN link, or at the NCAA Hall of Champions(6) next time you visit us here in Indianapolis. 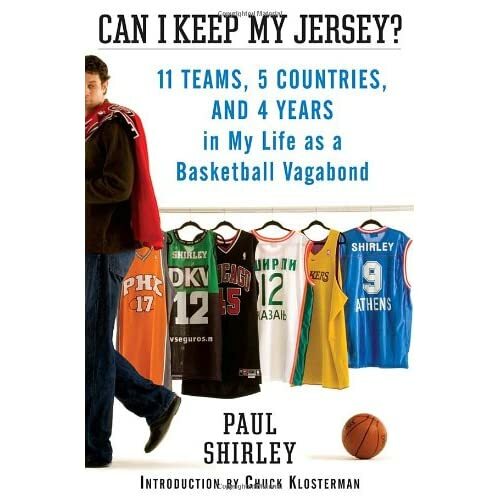 Incidently, I started to write this post because I learned through the ESPN column that Paul is soon to release a book and that's pretty exciting (note the post's title). I ordered it from Amazon as soon as I got home from work. You'll note that the forward is by Chuck Klosterman who just happens to be my favorite author of late. As the kids say: "boo-ya!" I'm impressed by the craft of book writing and hope to someday count myself amongst those who've been published. After all, I learned yesterday that I have verbal skills in the 90th percentile of those that are interested in graduate management admissions. The above was the IndyStar headline following the Colts win over the Patriots in the AFC championship game last week. I'm not particularly a Colts fan but don't real have a dog in any AFC fight so I figured it was time to get on the bandwagon - for this year anyway. After all, we do live here and that I believe that is was one of the allowables for altering sports affiliations(1). It's really interesting to be this close to the biggest event in sports. The Vikes came close twice in not-so-recent years (1998 and 2000 losses in the NFC championship game) but I've never lived in the Twin Cities, so it's not quite the same. The closest thing may have been the Elite 8 run by Larry Eustachy's Cyclone in the 2000 NCAA tourney(2). I was on South Padre Island with 46 of my closest brothers(3) for Spring Break and the Cyclones were the talk of the dance with a legitate shot to win it all. Its interesting to sit back and take a subject look at it how this event is affecting the city as an outsider. I've seen the minor things like the "Go Colts!" signs on most businesses and the Colts tie on our Senior Minister tonight at church(4). I've also seen the ridiculous like the morning weather man wearing a Dwight Freeney jersey over his suit while misrepresenting the amount of snow we're going to get. There's also some cute stories out there like the alcohol distributer that gave everyone the day off the day after the Super Bowl(5). (1) Supporting the Colts for two weeks in no way affects my allegance to the Vikings. I even wore my Kevin Williams jersey to the gamewatch against the Patriots - much to the confusion of the other attendees. (2) I realize the NCAA tourney is a collegiate basketball event not pro football but it's one of my top five teams/leagues to follow (Iowa State/NCAA Football, Vikings NFL, Iowa State/NCAA basketball, Twins/MLB, Iowa State/NCAA Wrestling in pretty much that order) and I'm sure I'd be elated by a national/super bowl/world series title in any of them. (3) 2 or 3 annoying girls came, too. (4) He lead a prayer for the Colts win the playoffs started - which is odd since I know that he spent most of his life in South Dakota. (5)they each got a six pack of Blue Moon, too. (6) I'm reading a new book by my favorite author Chuck Klosterman who footnotes everything and I thought I'd try it out for a while.